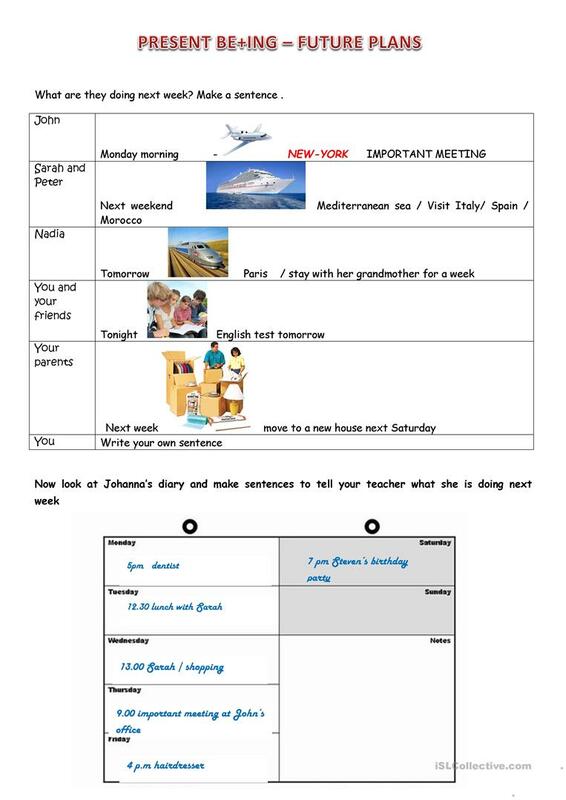 A very simple worksheet with visual prompts to practise present continuous for future plans. There are 2 exercises. The first one with prompts and the second one is a diary page. i hope you will enjoy it! The present printable, downloadable handout is recommended for high school students at Elementary (A1) and Pre-intermediate (A2) level. It is great for revising Present continuous (progressive) tense in English, and was designed for working on your pupils' Speaking and Writing skills.